Celebrities go to the dentist, too! Tom Cruise: Do you remember his misaligned teeth in Risky Business and The Outsiders? At age 39, he decided to sport a near-perfect smile, which included Invisalign braces and whitening treatments. Victoria Beckham: As a child, she was quite embarrassed by her crooked teeth and prominent gap. Beckham reportedly perfected her smile with porcelain veneers and teeth whitening treatments. 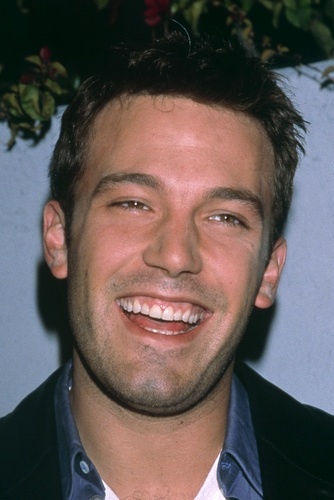 Ben Affleck: Prior to cosmetic dentistry, Affleck’s teeth were small and unevenly spaced. He received crowns, veneers, and extensive teeth whitening treatments. Zac Effron: This High School Musical star contended with a wide gap in his top front teeth at the beginning of his career. Now, Effron sports a beautifully white, “perfect” smile after Invisalign braces and teeth whitening treatments. George Clooney: The former Sexiest Man Alive had a nasty habit of grinding his teeth, which made his smile rough and uneven. He is reported to have undergone laser gum treatment and had porcelain veneers placed to give him his new devilish grin. Demi Moore: While she had naturally straight teeth, she was never quite satisfied with her smile, so she has veneers and underwent laser whitening treatments. If you want to achieve a smile like the stars, contact me, Dr. Peter Pate, of Dentistry in Buckhead. A radiant smile can open professional and social doors. Did you know people with beautiful smiles are deemed more intelligent, attractive, and successful? Contact my Atlanta dental office at (404)266-9424 to improve your smile.